One of the best things about spaghetti squash is that leftovers store beautifully in the fridge or freezer. Can you see where I’m going with this? Bake up a big batch at the beginning of the week for some quick, easy meals and snacks after work. First on the list? 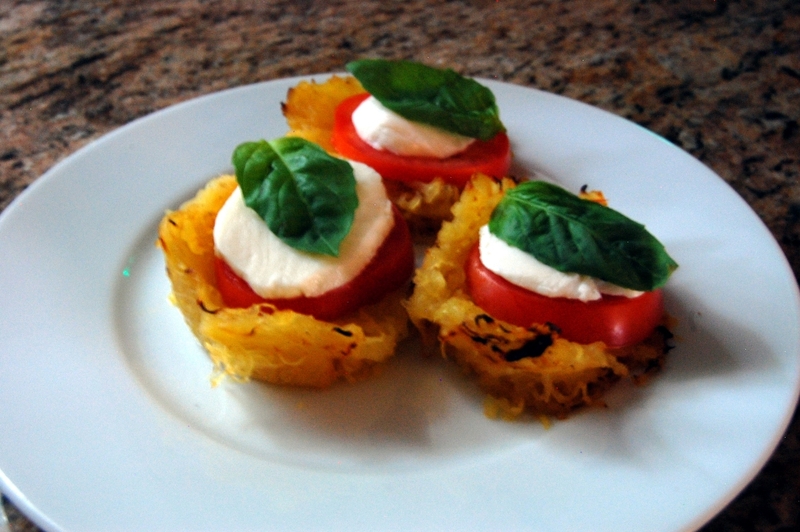 Spaghetti Squash Caprese Cups. Just four ingredients plus seasoning and, unlike me, you should be starting with precooked squash. If you aren’t, that’s perfectly fine, but it increases the cook time by about 30 minutes here. It just means you have to have a little more patience before you can get down to munching on these little cups of fresh-flavored goodness. Just some s&p here. Too easy for words. No really, I have no words here. I think it’s only fair that we give muffin tins a chance to do something other than muffins, don’t you? The squash will cook down a bit, so don’t be too worried about over-filling the tin. Press down the centers to create a little divot so they bake into the perfect shape to hold delicious mozzarella, tomato, and basil. Which, by the way, you can slice up while your squash bakes. Go as thick or thin as you like here; the squash-to-mozzarella-to-tomato ratio is completely up to you. Assemble and munch. That’s all, folks. 1. 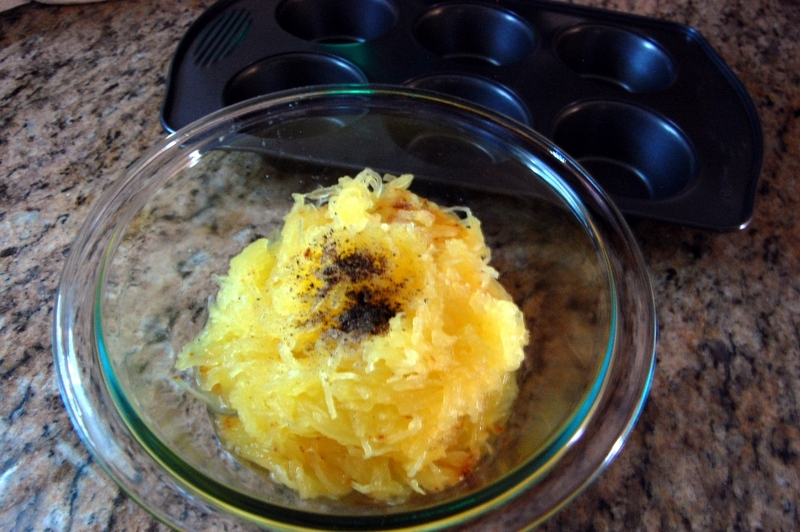 Preheat oven to 425 F. Season spaghetti squash to taste with salt and pepper. 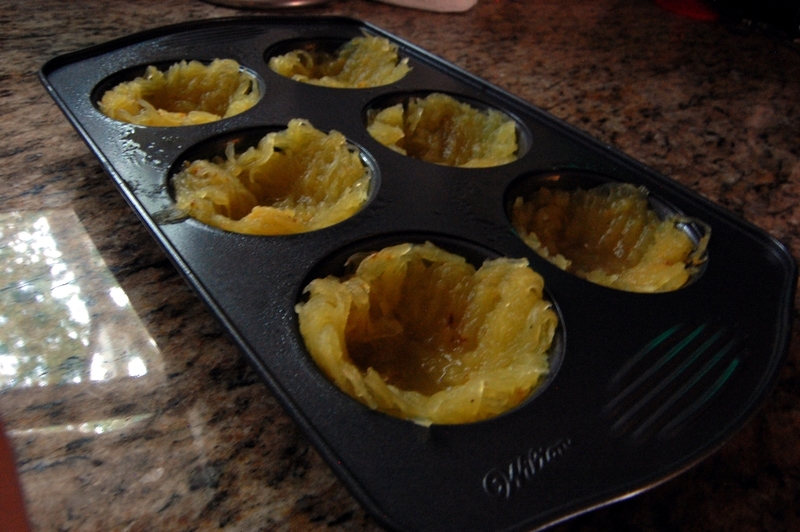 Lightly coat muffin tin with cooking spray and spoon squash into cups. Using a fork (or your fingers) press the center of the squash down to create a divot. Bake for 20 – 30 minutes until slightly browned. 2. 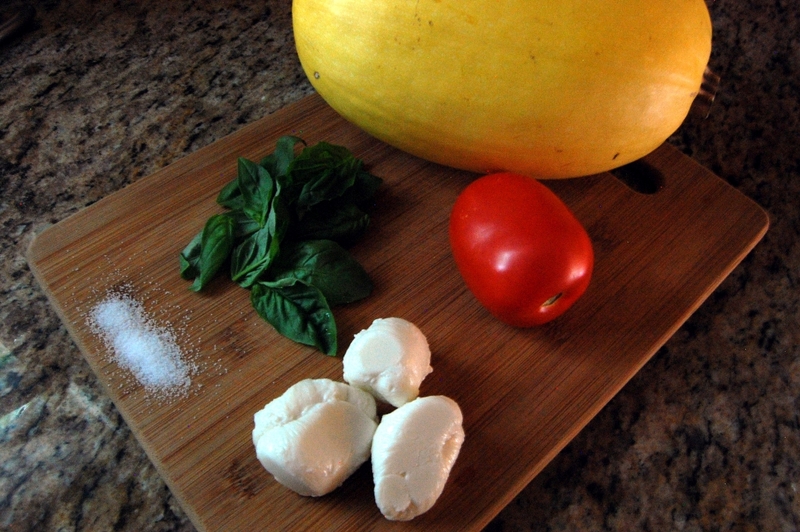 While spaghetti squash cooks, slice mozzarella and tomato. 3. Use a fork to separate the sides of each spaghetti squash cup from the tin, then lift out. 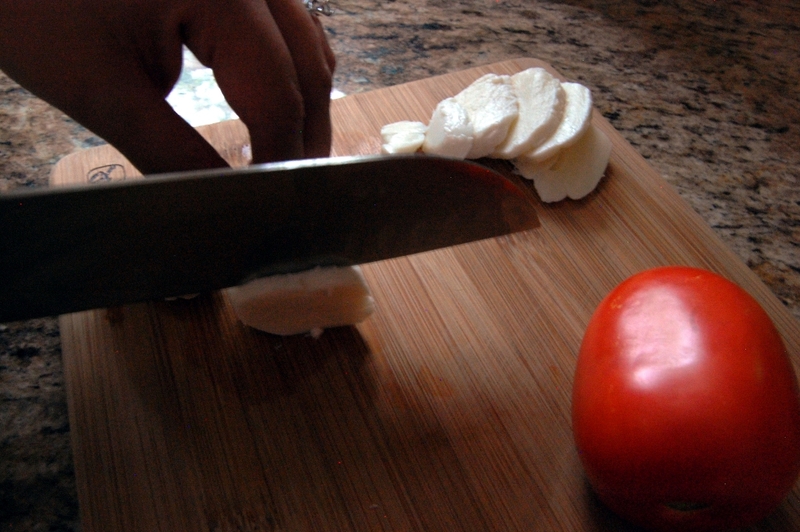 Add a slice of tomato, a slice of mozzarella, and a basil leaf. Serve. This entry was posted in Appetizers, Side Dish, Snack, Vegetarian and tagged Appetizer, Basil, Cooking, Easy, Leftovers, Mozzarella, Muffin Tin, Recipe, Simple, Snack, Spaghetti Squash, Tomato by Lazy Suzan. Bookmark the permalink. These look so appetizing Susan! That’s so creative to turn these spaghetti squash into Caprese cups 🙂 Love them! These look wonderful – what a great idea. Yum! I’ll be making these ASAP! Hi Suzan. Thanks for the like. I’m dying to make the caprese cups! They look yummy and elegant enough to serve to our most food snooty friends. That’s brilliant! I am having spaghetti squash tonight and I think I will save some leftovers on purpose just to try this!!! Thank you for your generosity in sharing. These look ahmazing! will definitely be attempting these soon! oh and thanks for the like!! Yummers!!! I’ll have to try this. Yahoo! Someone who lives to eat! what a terrific idea for making the cups. Gotta try that! This is brilliant, I definitely have to try it! Another diabetic friendly recipe I will be trying.